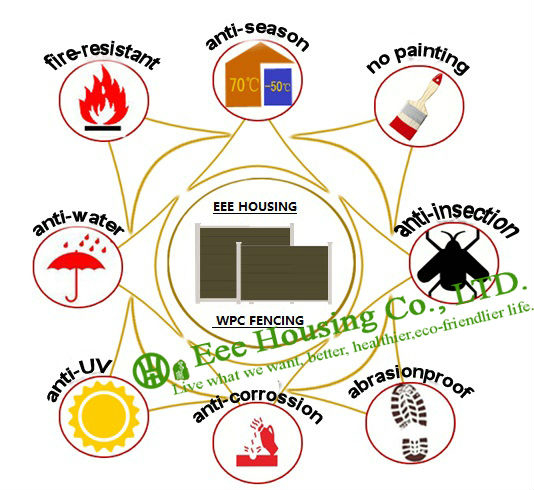 Eee Housing WPC fence panel,mainly consisting of wood fibre and plastic, it's economical and environmentally friendly.It can be used as garden barrier or residential fence for privacy and security. 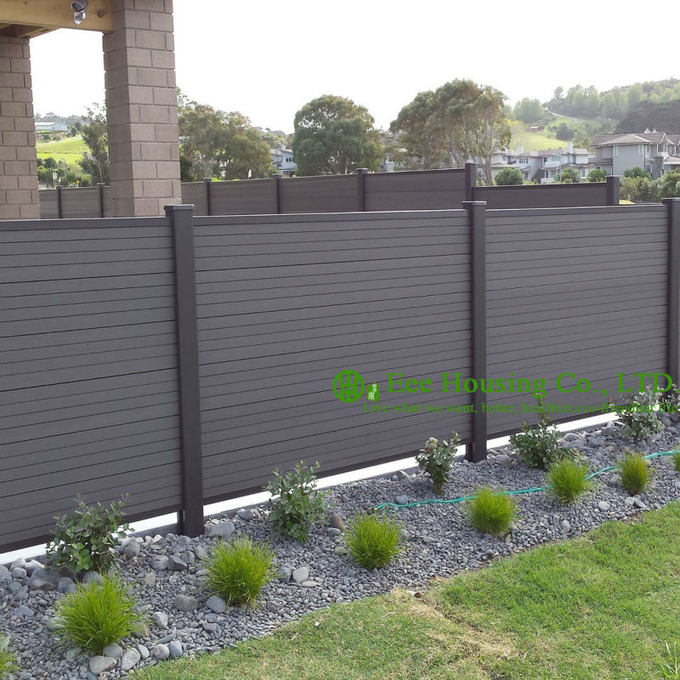 Privacy fence is very popular in Australia,Europe,American and other countries.Compared to traditional rail fence,this fence can not only have better mechanical properties and more durable lifetime, but also provide more beautiful appearance and easier installation. 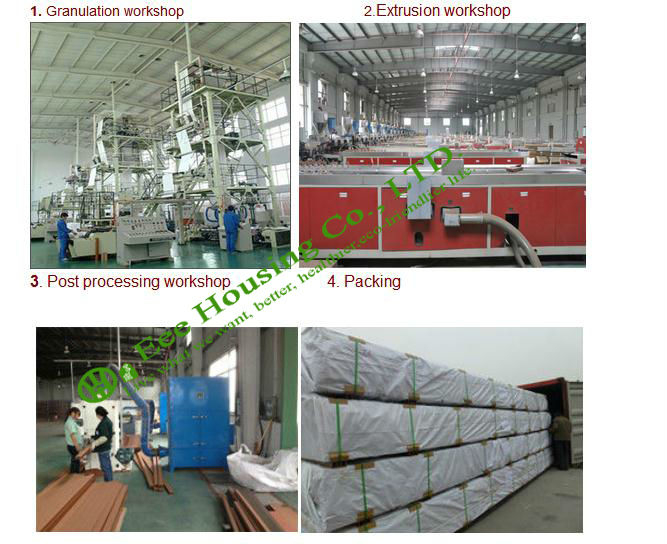 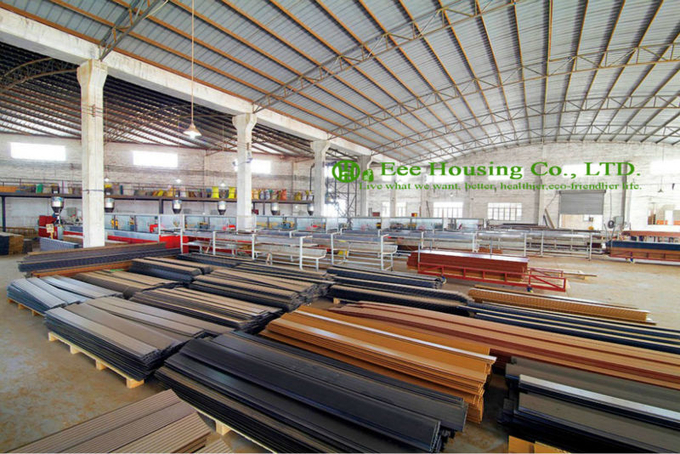 Eee Housing wood-plastic composite fence panel does not require any additional treatment like oiling or painting.It is very durable and will remain unaffected by UV rays, high humidity,and temperature fluctuations. 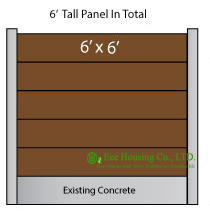 like water platform, parks, garden, sides of the cliff, river and lakeside etc. 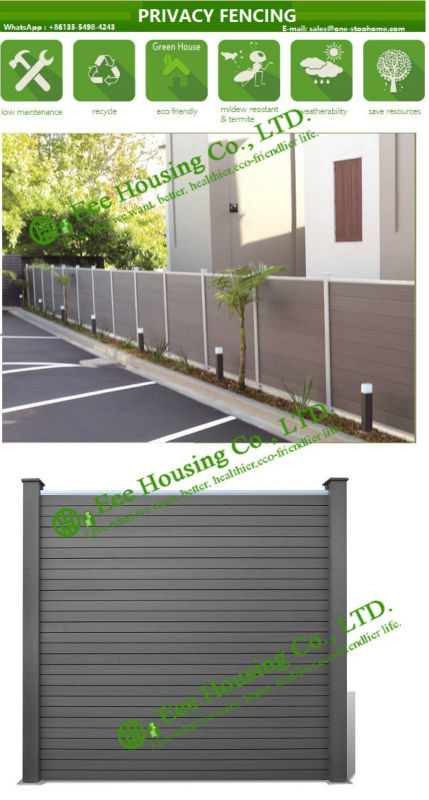 3) Fence Colors: Grey, Teak etc..
6) Features: Low care, No color fade,Easy and fast installation, No painting or protective lacque application necessary, Fully recyclable etc..